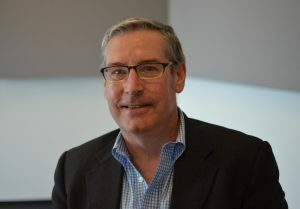 Jack Speer is a long-time newscaster at NPR, and a journalist with over twenty years of experience covering business and economics through a variety of network and broadcast markets. Some of Speer’s more prominent stories cover the 2008 financial crisis, congressional budgetary reforms, and initiatives. The government’s overall involvement in the financial sector is a consistent theme in Speer’s work as a journalist. Speer is successful at this because of his ability to interpret, simplify, and re-iterate dense and complex information to a reader or listener who is unfamiliar with business and economic vernacular. UMSL Business sat down with Speer to discuss the current state of the marketing industry and the media. These industries are currently being disrupted by the transition to social media from traditional network media at an exponential pace. During the interview, Speer talked about quality concerns on social platforms where there are no editors or “gatekeepers.” He explained that business organizations have changed the way they handle their communications on social media, where they have started to think a little harder before publishing a post. Jack Speer also discussed social media as a “news outlet” and its increasing relevance as a public relations tool for businesses. He goes against the vision of influencers as the future of public relations, due to concerns with social media’s track record on credibility. Speer went on to explain that this is an ongoing debate in his field, and he believes that the quality of journalism conducted at NPR, and other traditional media outlets will still be of high value in the future. The term “fake news” is currently creating a ripple effect throughout the media industry, and Speer’s sees it as an inaccurate attempt to bring down the credibility of media. Instead of being used to describe the untrue news and information being spread by influencers on social media, it has mislabeled the traditional press as the source of “fake news.” For this reason, Speers said he tries not to use the term that often. Jack Speer’s experience as an Anchor at NPR and a crisis communications professional allows him to have a strategic insight into the future of digital marketing. Speer explained that the career path that lead him to his position as a broadcaster for the “All Things Considered” newscast, which has a staggering weekly reach of twenty-seven million, isn’t available anymore! However, Speer noted that all potentials for career advancement are centered on the internet. That means there are more opportunities to create and promote content today than ever before, so media outlets like NPR are looking for younger generations with active social media accounts, blogs, and podcasts to fill entry-level positions. Just like Speer expresses his passion for Radio Media by serving on numerous boards and volunteering to speak at organizations like TED, media and marketing students need to create a portfolio of experience to express their own passions. UMSL Business is grateful for Speer’s participation in one of our largest productions, the Midwest Digital Marketing Conference, where he talked on “Marketing & Media: The Intersection.” Speer’s specialized experience gives him a strategic vantage point and unique insight into the future of digital marketing. The generous support of Speers and his professional counterparts drew a record-setting crowd to MDMC this year. Speer demonstrates his broader understanding of an increasingly complex and globalized economy. For this reason, his knowledge is universally appealing and applicable to all consumers of media.